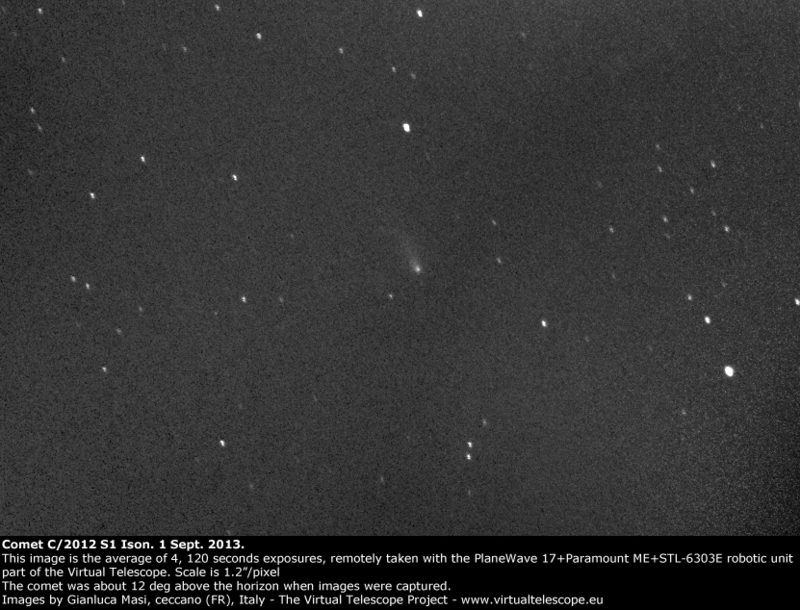 The PlaneWave 17″ robotic unit was slewed to the comet and several images were captured. The one above is the average of 4, 120 seconds, unfiltered exposures, with a scale of 1.2″/pixel. The nucleus magnitude was estimated at mag 15.5 (preliminary value).